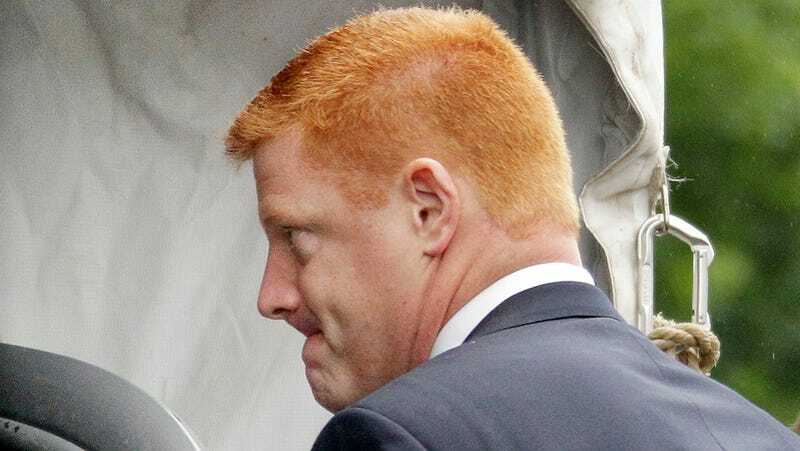 Mike McQueary, the former Penn State assistant football coach who witnessed Jerry Sandusky touching a boy in the school's football building shower 11 years ago, has filed a whistleblower lawsuit against the university, accusing it of defamation and misrepresentation. He's seeking $4 million plus damages and fees for "distress, anxiety and embarrassment." The suit says that amount would cover the future earnings McQueary stood to make as an assistant football coach for the next 25 years. McQueary was placed on paid administrative leave when Sandusky was arrested last November. His suit accuses Penn State of not informing him he was no longer a university employee, of not offering to cover his legal fees (as it's doing with other employees implicated in the case), and of delaying his severance payments and health insurance COBRA benefits, which forced him to make an early, penalized withdrawal from a retirement account last month. The suit also says the school defamed McQueary when former president Graham Spanier issued a statement publicly supporting Tim Curley and Gary Schultz, the two university administrators charged with perjury and failure to report abuse. The suit says Curley and Schultz had told McQueary they thought his report to them about Sandusky in February 2001 was "a serious matter" and that "they would see to it that it was properly investigated and that appropriate action would be taken." By doing so, the suit alleges, Curley and Schultz convinced McQueary not to report the incident to any law enforcement until he was approached by investigators many years later. The trial for Curley and Schultz is scheduled for January. You can read McQueary's lawsuit in its entirety below. Yes, his attorney's last name is Strokoff.